Blue Botanical Personalised Menu Cards. Instead of providing place cards why not provide your guests with their own individual menu with their name on! A6 size (14.5cm x 10.5cm) available on a thick heavy weight (270gsm) white or ivory hammered card. 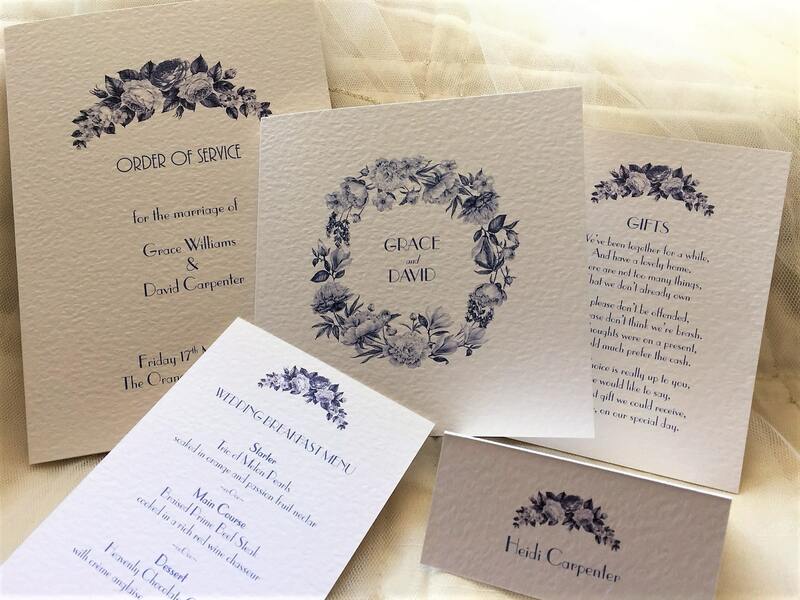 We can print in any font/colour to match a theme. You can also provide guests who have special dietary requirements with their own little menu or provide separate children’s menus. 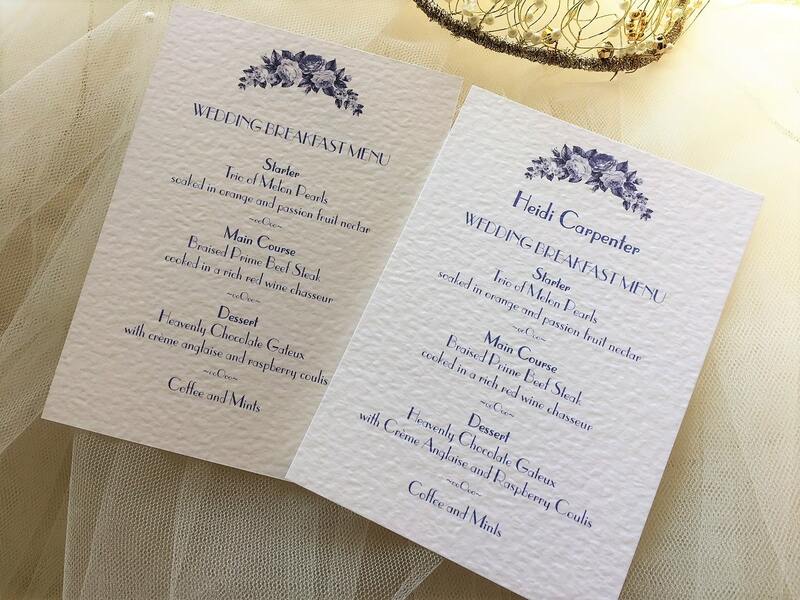 Your guests can take home their menu card which serves as a lovely personal memento of your special day. 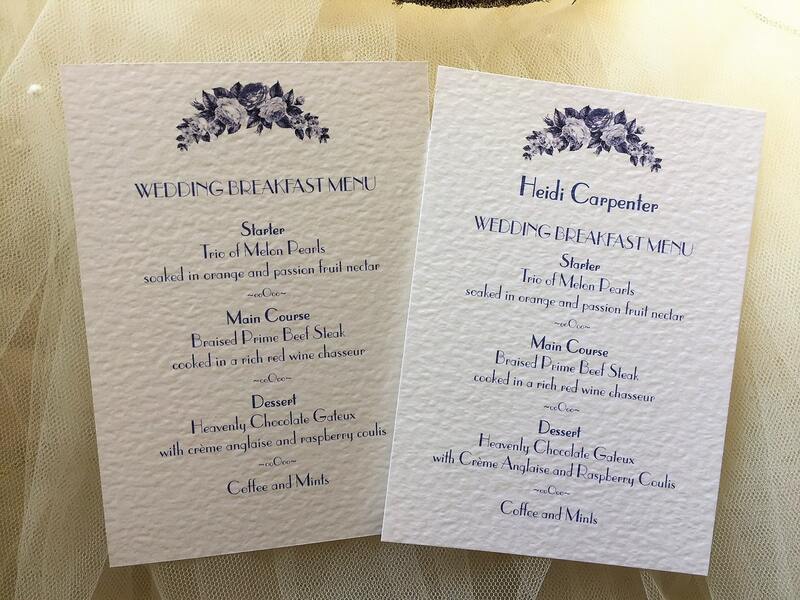 If you wish to order personalised menu cards please contact us first. We will forward you a spreadsheet showing you the format we need your information in, in order for us to process your order. 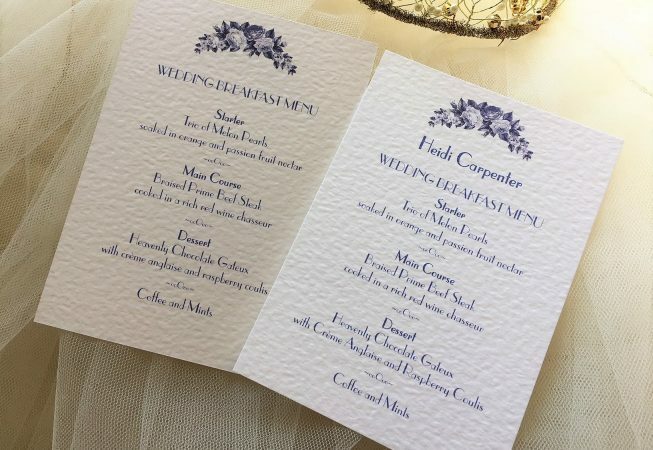 Blue Botanical personalised menu cards are part of the Blue Botanical Wedding Stationery Range.